We started our 2nd IVF cycle about 3 weeks ago. This time, we are on the long cycle protocol. 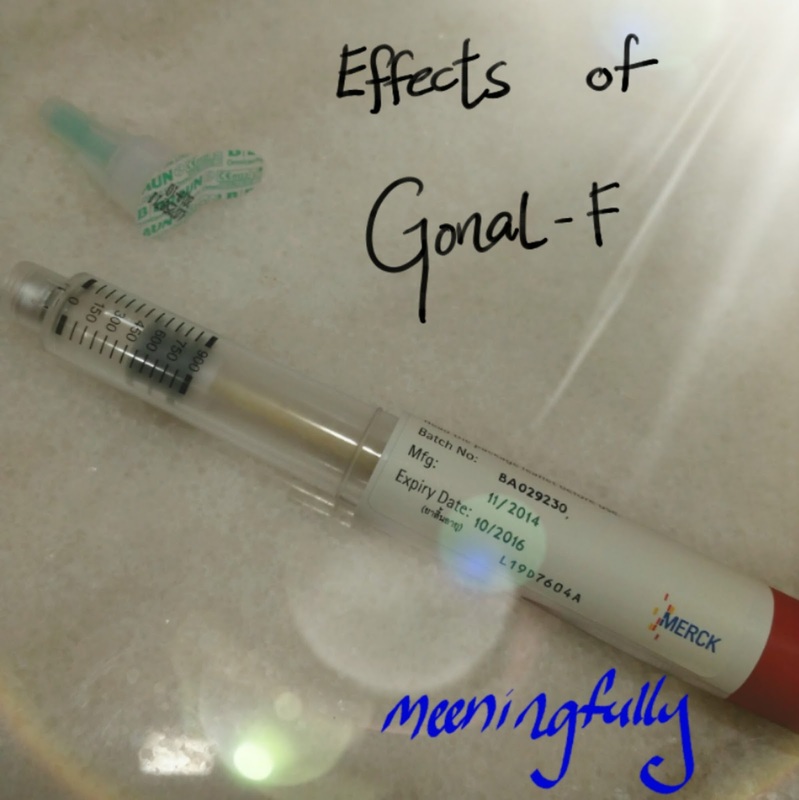 At the same time, our doctor switched our follicle stimulating hormone (FSH) jabs from Puregon to Gonal-F.
And, boy oh boy! This switch sure does some really horrible things to me. I had terrible headaches, sometimes nausea and more recently fever, and these really throws my daily routine off course. I get irritable at the slightest thing and I am exhausted by 7pm everyday. No, I am not exaggerating. This is worst than being pregnant ( or what I can remember how being pregnant feels). I am actually not too sure if it's the new medicine, or the increased dosage or the fact I had suppressant jabs before starting on Gonal-F.
My headaches starts showing it's head during the second half of each day, and it gets worse by the time I commute home. It makes me groggy and extremely tired so much so that by the time I get home, all i want to do is just go to bed. When my headaches, putting me on fast moving taxis and bumpy bus rides, the feeling of vomiting definitely comes on strong. I am actually not sure if the fever was an effect of Gonal-f or my body was trying to fight an infection. All I know was I was running fever of 37.9°C To 38.5°C every night for the entire week. Perhaps the body was a little heaty. As with most stimulated cycles, abdominal pains are expected due to the large number of of follicles. unlike all my previous IUI and IVF cycles, the pains were more obvious this time round. My body certainly does not agree with Gonal-F. But, as always , different people react to different drugs differently. Hence, this does not mean you will get allthe above side effects. In the same vein, I had almost no side effets from puregon. This may not mean you will feelthe same too.